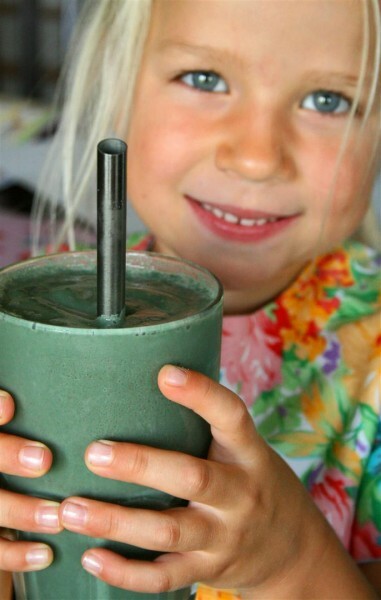 Creamy Strawberry Spirulina Shake was posted on August 9th, 2013 and is filed under Drinks & Smoothies, Gluten Free, Kid Friendly, Low Carb, Recipes. This entry has 8 comments. You can follow any responses through the RSS 2.0 Comment Feed. I’m always looking for ways to eat my beloved spirulina, and while I have some creative ideas brewing in my brain, I always revert back to spirulina smoothies. This one I made a few days ago and it is my newest smoothie obsession. Its almost like one of those creamy Starbuck frappas – but of course, I made it healthy and low sugar. In other words, I will be making this a lot. This will make 1 large serving or 2 small servings. Blend until smooth and creamy. And yes, those fats in there are GOOD FOR YOU and they are NOT FATTENING. Fit tip: Just keep away from carbs for 2-3 hours if you have a high fat meal and those fats will keep you slim, not make you fat! I’ve eaten more fat than I ever have in my life and I’m losing weight, not gaining. Don’t be afraid of a little fat! Thanks to Maine Drinking Straws for letting me try their stainless steel straws. I love the idea of reusable straws for my smoothies and I am so glad they want to be a part of the smoothie challenge! I’m LOVING them (and the fact they are SO easy to clean) and you will be seeing much more of these straws in my smoothie pics. Goodbye plastic! If you’re in my Colourful Smoothie Challenge, then you have a chance to win some! Double yay! Also, thanks to my niece for modelling for me. She thought we should both do green mustaches for a photo together – you can check it out here on my Instagram. Want to keep reading? Follow my blog with Bloglovin or subscribe here. Come on peeps! By now you know you should be eating spirulina! So are you? (wink) Have you tried using a REUSABLE straw? Sounds tasty! Just curious – why keep the fat away from carbs? I like how I feel with spirulina, better than coffee. I would make it right now if I had heavy cream, love not being afraid of fat. I have not used reusable straws, yet. This smoothie looks tasty! I just started cooking with spirulina and love using it as green food coloring. Fat = Fat just as Full = Fat! Love the myth-busting and nutrition tip. 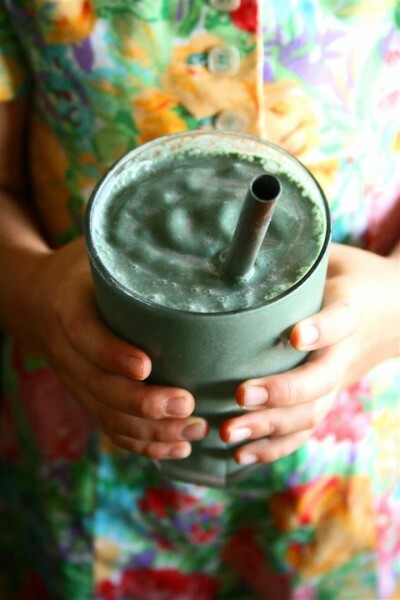 Yum, I’ll have to go purchase some more spirulina so I can try this recipe. Danielle – Too many carbs with lots of healthy fats is a two-fuel source – the body has to burn through BOTH of those sources…and if there’s just a bit too much…the extra fat or sugar (carbs) will raise blood sugar too high, relase more insulin than needed, and the extra will be stored in fat cells. It’s totally fine/healthy to eat that way, but too many meals with a lot of fats & carbs can lead to weight gain. Generally, I try to stick to a one-fuel source meal…so carbs and protein…or fats and protein. I’ll probably have a blog post up on this topic sometime! Hope that helps in a somewhat!